When Anthony first walked through our doors in 2013 to complete our Level 3 Advanced Barista course he was already working as a barista in Camberwell. Soon after, an opportunity arose to join Axil Coffee Roasters in December of the same year, Anthony seized the opportunity with both hands and jumped across. Since then he has quickly risen through the ranks and in September 2014, Anthony was given the opportunity to become head barista at Axil's CBD store on Flinders Lane. 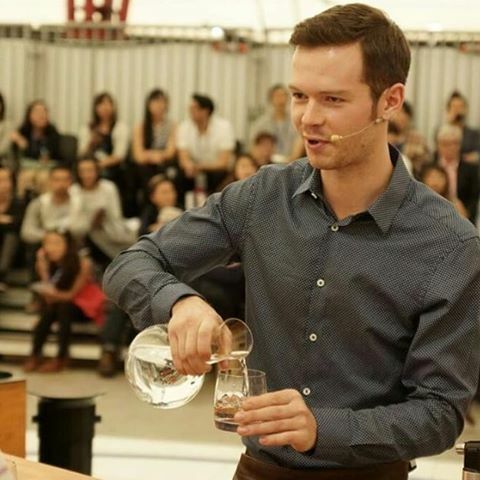 In 2015, Anthony was hired as an assistant barista trainer at The Espresso School leading various sections of barista courses on offer. It was also in this year that Anthony competed in his very first Victorian Barista Championships, arguably the hardest state to compete out of to qualify for a national semi-finals berth. Fierce competition saw Anthony place out of the top three but gave him enough of a taste for competition to try his hand at it again the next year. Ultimately Anthony's desire to compete in barista competitions led him to resign his position at the school which allowed him to focus his energies on putting together a routine for the 2016 Southern Regionals Barista Championships (VIC/TAS). His hard work and dedication paid big dividends, placing second, his first ever podium finish. Anthony continued the momentum from his runner-up finish in the Southern Regionals to the National finals, placing fourth overall in Australia. Anthony backed up his efforts by travelling to Costa Rica to source two honey processed coffees to serve at the 2017 Australian Barista Championships, a journey which once again earned him 4th place in Australia. Anthony's greatest result was to come in the 2018 Championship season placing second in both the Southern Regionals and Australian national finals. For his Australian Barista Championship finals routine, Anthony chose to serve a Colombian produced lactic Geisha from La Palma y El Tucan.